Meet Shari Song, a community leader and activitist. 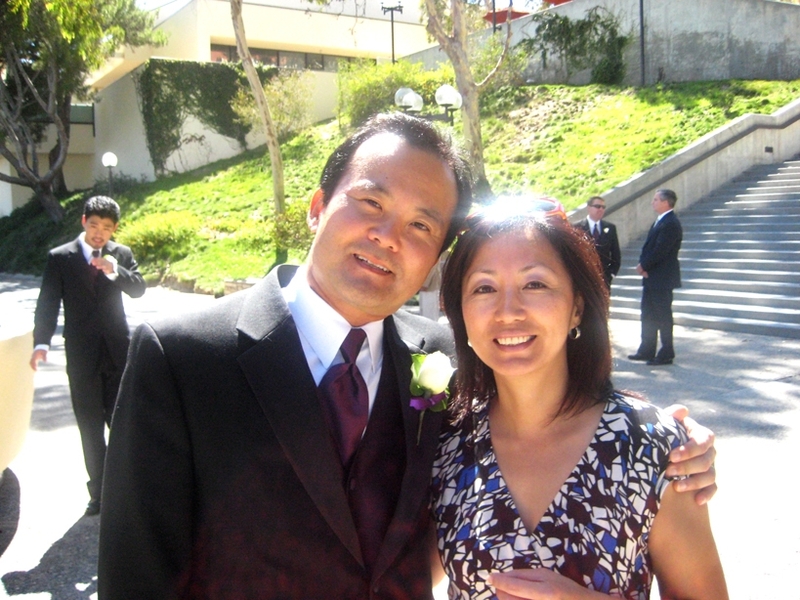 Shari has volunteered for years as an advocate for local Asian-Americans. In 1993, Shari co-founded the Seattle Korean-American Professional Society (KAPS). Later, she served as president of Korean-American Voters Alliance (KAVA). These organizations have now merged to be the Korean-Amercian Coalition (KAC) Seattle chapter. She has also served on the board for the Asian Counseling and Referral Center (ACRS), a social services organization that provides support in 30 different languages. For her efforts, Shari has been recognized by King County Executive Ron Sims in 2005. Northwest Asian Weekly also honored her as a top contributor in the local community. In 1994, Soroptimist gave Shari the Woman of Distinction Award. By day, Shari is an assistant manging broker supporting real estate agents at Skyline Properties. She is also a dedicated mother to two sons, and a wife… well, a wife to me :). That’s right, we’ve been married for 22 years. In fact, it was our anniversary a week ago. We celebrated at a restaurant where I dropped a whole $24. And, she was as happy as can be. Now, that’s worth writing about. If you know Shari and want to share a story about her, please do so here. Posted in People & Culture and tagged ACRS, anniversary, community service, democrats, KAPS, KAVA, korean american, Korean-American Professional Society, Korean-American Voters' Alliance, modern woman, mother, Politics, shari song, skyline properties, soroptimist, wife. Bookmark the permalink. Congratulations John & Shari! 22 years equals lots of patience on Shari’s part. Shari Song, a tireless networker, community leader and smart businesswoman, whom I’m honored and privileged to call a friend! I am honored to know her. She is extremely dedicated and committed to her causes. She gives tirelessly. I am also amazed at her ability to have fun at the same time. Volunteer work is hard work and very time consuming but she finds ways to have fun with fellow volunteers and makes everyone feel welcome. We are all lucky to have her here in Seattle/Puget Sound.